Machine-learning approaches (MLAs) for DNA barcoding outperform distance- and tree-based methods on identification accuracy and cost-effectiveness to arrive at species-level identification of wood. DNA barcoding is a promising tool to combat illegal logging and associated trade, and the development of reliable and efficient analytical methods is essential for its extensive application in the trade of wood and in the forensics of natural materials more broadly. In this study, 120 DNA sequences of four barcodes (ITS2, matK, ndhF-rpl32, and rbcL) generated in our previous study and 85 downloaded from National Center for Biotechnology Information (NCBI) were collected to establish a reference data set for six commercial Pterocarpus woods. 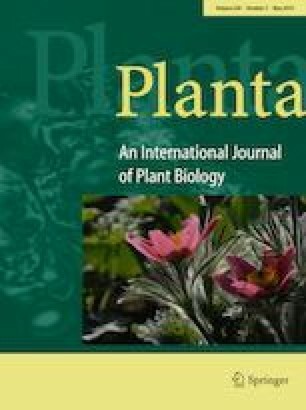 MLAs (BLOG, BP-neural network, SMO and J48) were compared with distance- (TaxonDNA) and tree-based (NJ tree) methods based on identification accuracy and cost-effectiveness across these six species, and also were applied to discriminate the CITES-listed species Pterocarpus santalinus from its anatomically similar species P. tinctorius for forensic identification. MLAs provided higher identification accuracy (30.8–100%) than distance- (15.1–97.4%) and tree-based methods (11.1–87.5%), with SMO performing the best among the machine learning classifiers. The two-locus combination ITS2 + matK when using SMO classifier exhibited the highest resolution (100%) with the fewest barcodes for discriminating the six Pterocarpus species. The CITES-listed species P. santalinus was discriminated successfully from P. tinctorius using MLAs with a single barcode, ndhF-rpl32. This study shows that MLAs provided higher identification accuracy and cost-effectiveness for forensic application over other analytical methods in DNA barcoding of Pterocarpus wood. The online version of this article ( https://doi.org/10.1007/s00425-019-03116-3) contains supplementary material, which is available to authorized users. This work was financially supported by National Natural Science Foundation of China (Grant No. 31600451), the National High-level Talent for Special Support Program of China (Grant No. W02020331), and the China Scholarship Council (Grant No. 2017-3109). We express our gratitude to Professor Xiaomei Jiang, Dr. Min Yu, Dr. Bo Liu and Dr. Prabu Ravindran for their assistance and suggestions on this study. We thank Sarah Friedrich for her help with the figure works.